When I was thinking about how I could be intentional in teaching my children about God this year, this book immediately came to mind. 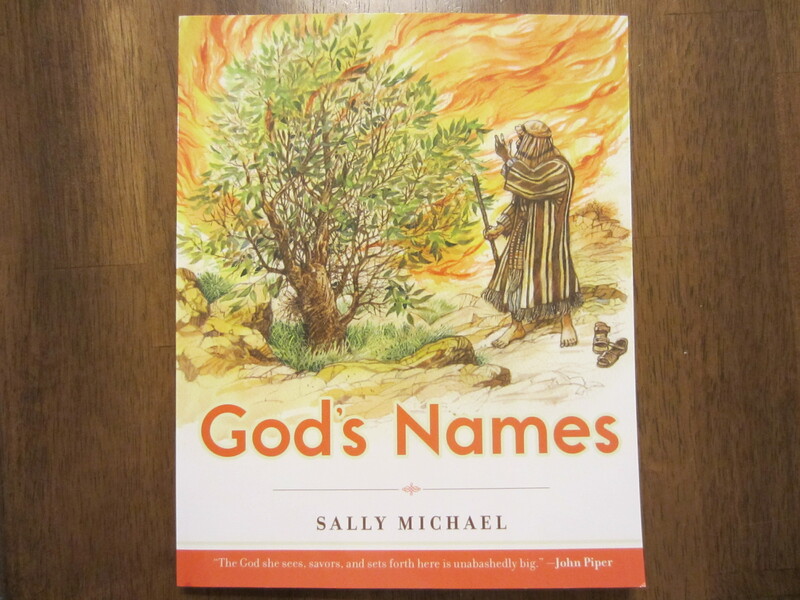 I have never really learned about God’s Names, so I knew it would be a good resource for both my children and me. Who wrote it? It was written by Sally Michael, who is the co-founder of Children Desiring God, and also works at Bethlehem Baptist Church, as a Minister in Family Discipleship. She also developed the Children Desiring God Sunday school curriculum, which I absolutely love. What’s inside? God has many names. This book in no way covers all of them but gives you a basis to start with. Each part of the book includes the Hebrew name (pronunciation guide is in the beginning), its definition, a story with scripture, questions, and an activity. How we use it. My children and I have enjoyed going through this book one name per week. I have them look up and read the scripture that goes with the name we read about. We use the questions to go a little deeper and bring out personal experiences. Then we pray using that name specifically. The rest of the week we review the previous names we learned and their meanings. This book has been beneficial to both my children and me in furthering the knowledge and understanding of our great God. I received an extra copy of this book after I purchased it, so I thought I would give it away to one of my wonderful readers. Enter to win! I was just looking at this book yesterday. I’m not sure if we have anyone old enough yet for the whole book, but it would be good to have for the future, and even to start reading together a little now. Oh my goodness….Paula. what a type-o. . . sorry! Sorry for the extra entry—but I’ve been dwelling on Jehovah Shammah lately. The Lord who is present. . . . I think my favorite would be the Great Physician because it is nice to know He heals even a broken heart. My favorite would be I AM!